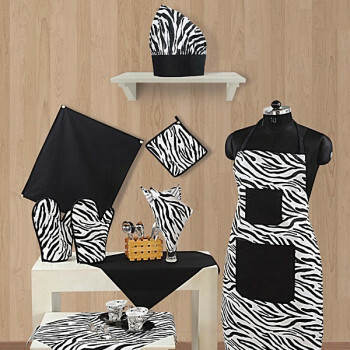 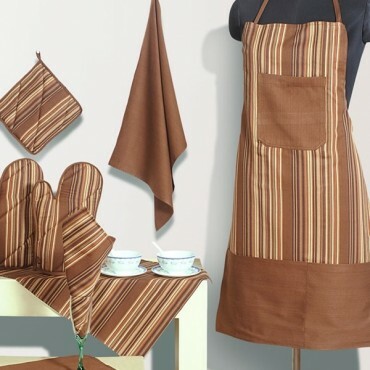 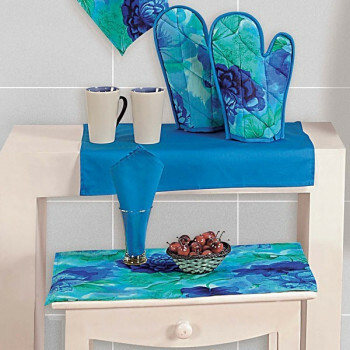 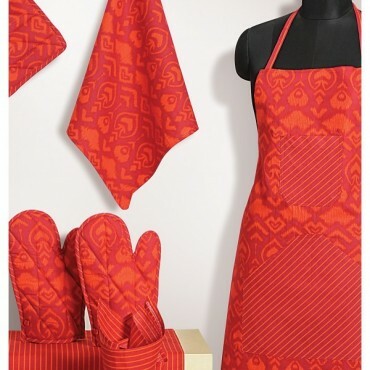 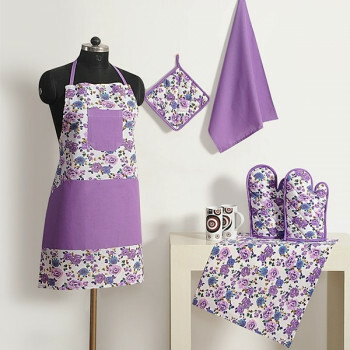 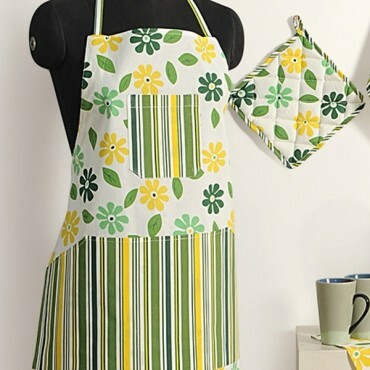 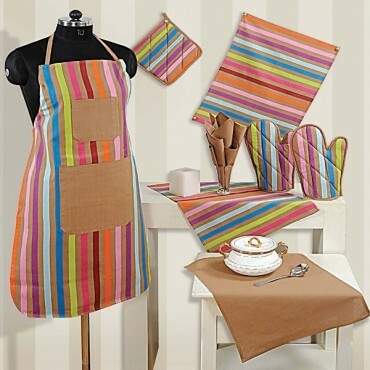 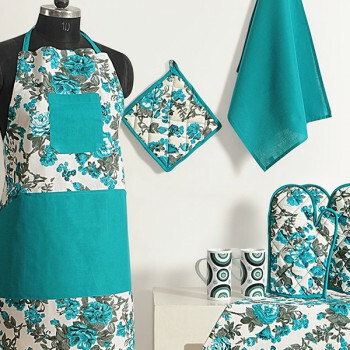 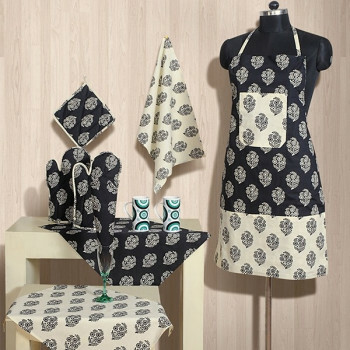 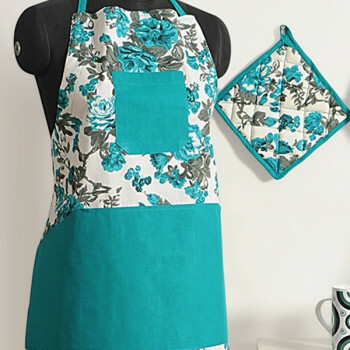 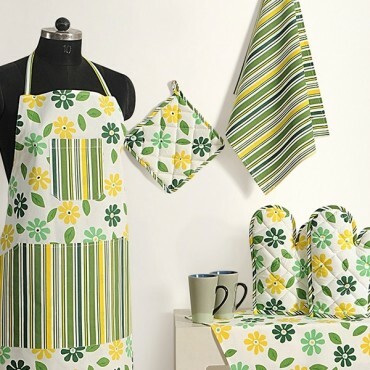 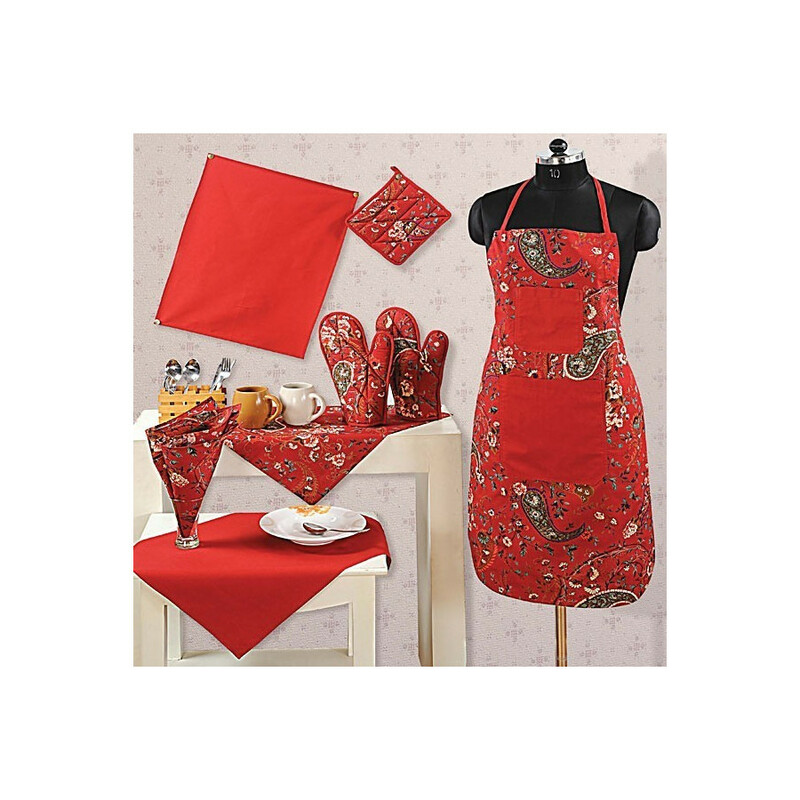 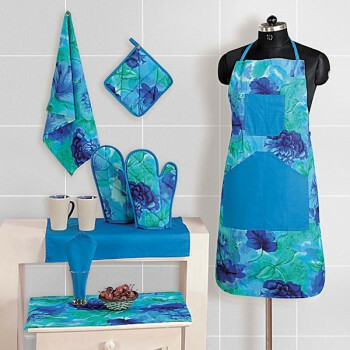 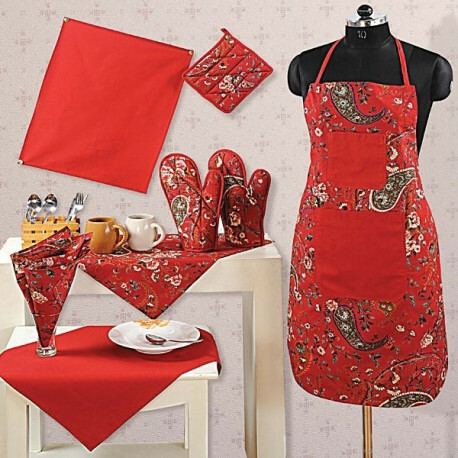 This interesting kitchen linen set has beautiful reversible apron that comes with it. 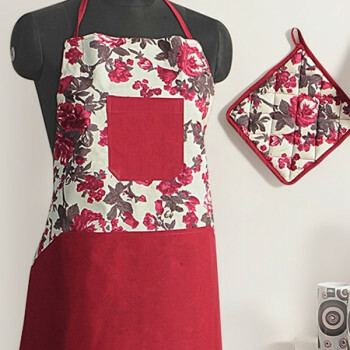 The apron has two pockets in front in solid that creates a unique mix and match style. 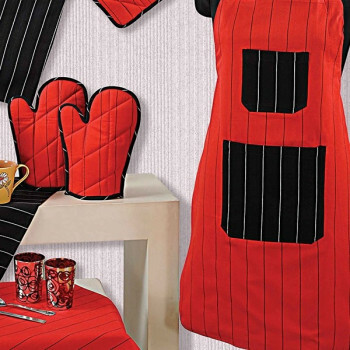 Also there are oven mittens which are quilted and easily fit in. 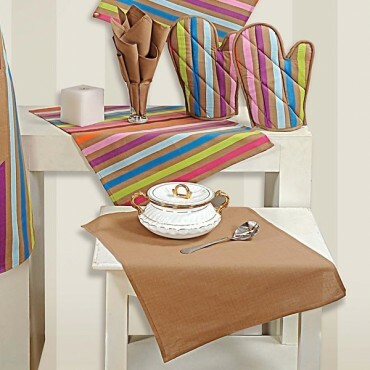 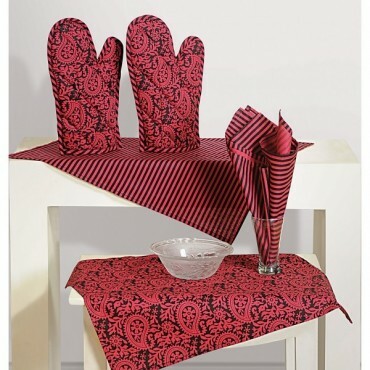 Buy Maroon Paisley Kitchen Linen Setfrom our online selling portal, Swayamindia.com and avail the futuristic product. 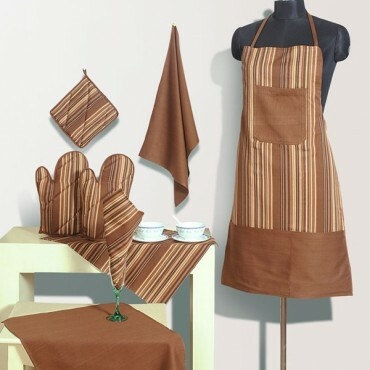 The complete set is made up of pure premium cotton which is 100% color fast which means there is no risk of color fading. 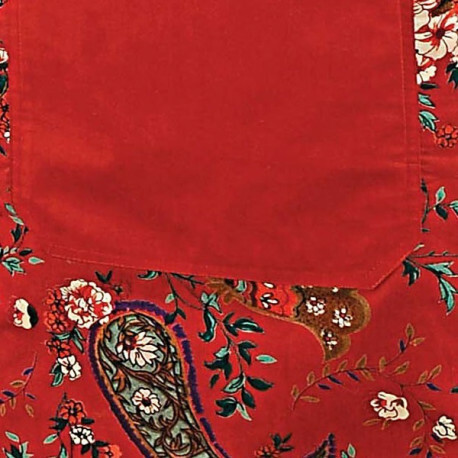 The fabric is also shrinkage proof. 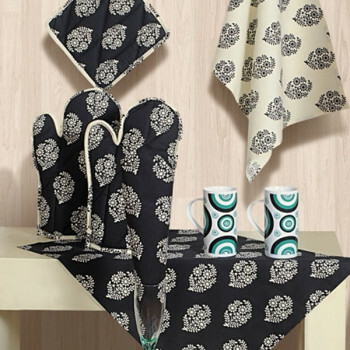 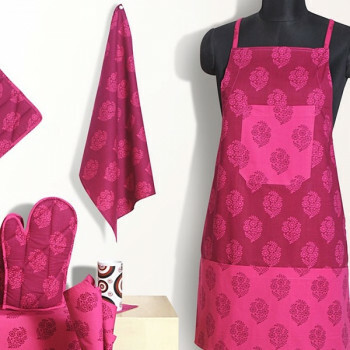 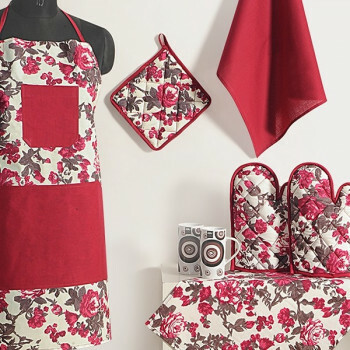 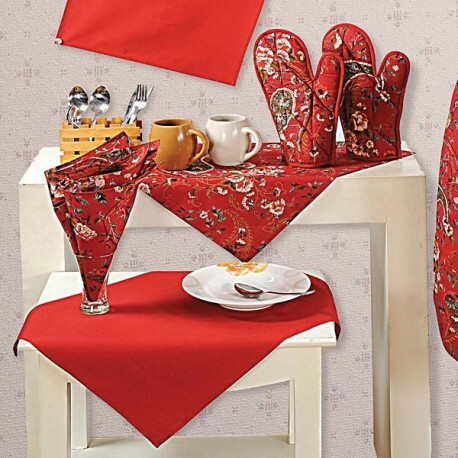 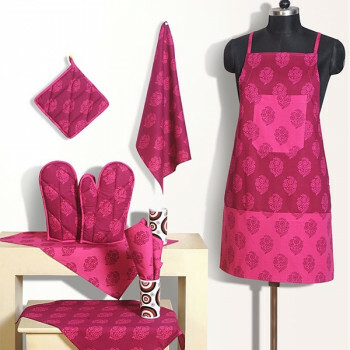 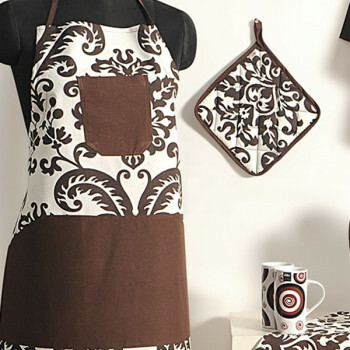 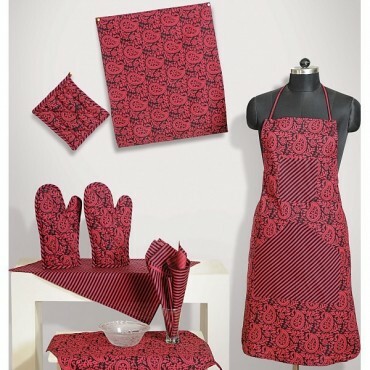 This Maroon Paisley Kitchen Linen Set is designed keeping in mind the complete requirement of a kitchen. 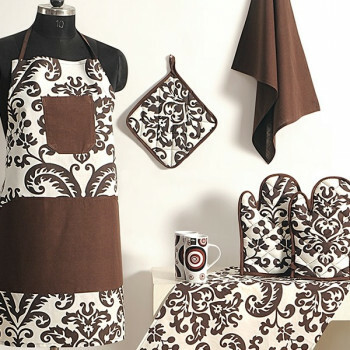 This set will create a beautiful coordinated look. 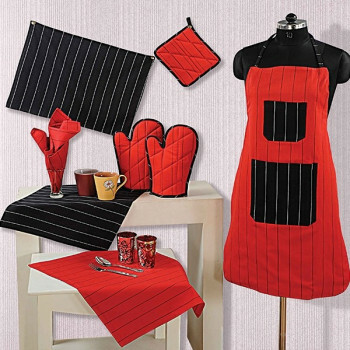 Easy laundering is yet another advantage. 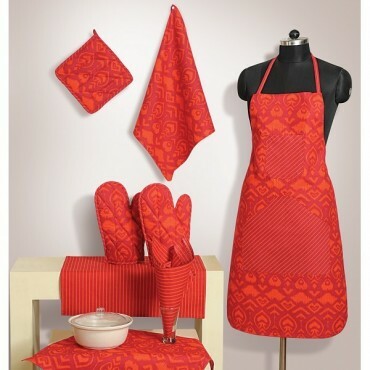 It can be machine washed. 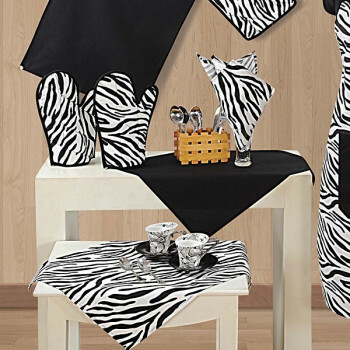 Ironing is also not required.